A series of road upgrades included in the National Development Plan (NDP) are not guaranteed to go-ahead despite thousands being spent on consultants. 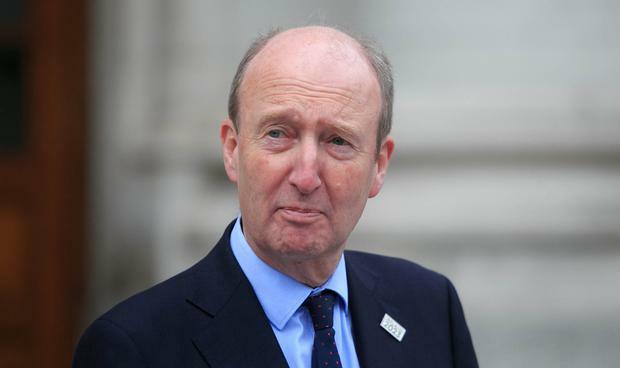 Transport Minister Shane Ross has admitted that just because the projects are listed as priorities for pre-appraisal "certainly does not mean that final approval is guaranteed". The areas in question include well-known stretches of road including the Virginia Bypass, M4 from Maynooth to Leixlip, the N3 from Clonee to the M50, and N11 from Oilgate to Rosslare. Mr Ross made the admission while being questioned by Fianna Fáil Meath TD Thomas Byrne on the status of the N2 from Rath to Kilmoon. Meath County Council was provided with €25,000 last year to carry out pre-appraisal work and a further €250,000 to the Transport Infrastructure Ireland (TII) for planning and design this year. "The project, which is about 6km long, will address the existing operational and safety problems on this section of the N2. The expected benefits of the scheme will be to improve efficiency of traffic using the N2 corridor, improve safety and improve connectivity between Dublin and the north-west," Mr Ross said. However, when pressed by Mr Byrne, he admitted: "My understanding is that it is not guaranteed, despite the pre-appraisal." Mr Byrne told the Irish Independent that there were 22 projects listed for pre-appraisal in the NDP. "We are spending money on consultants now and, at some point, a list of about half of them will be picked for construction. "People have been misled. Ministers have been announcing good news in relation to this," he said. Meanwhile, Taoiseach Leo Varadkar has denied there is a "black hole" in the NDP as a result of overruns in the cost of the Children's Hospital. However, he said more projects could be built through Public Private Partnerships (PPPs) "thus changing the spending profile". "Although very few PPPs were initially envisaged, having PPPs in some areas would spread the cost of those projects over a period of 20 or 30 years rather than 10, thus freeing up money which could then be allocated to projects where there are overruns," he said.